The Captain of Indian cricket team, Virat Kohli is always in news for his game and his love life. Now, he has signed an 8 years endorsement deal with Puma, for Rs. 110 crore and now his bat sponsorship deal with MRF has been renewed for Rs. 100 crore for 8 years. “We have renewed the bat sponsorship deal with MRF for eight years. 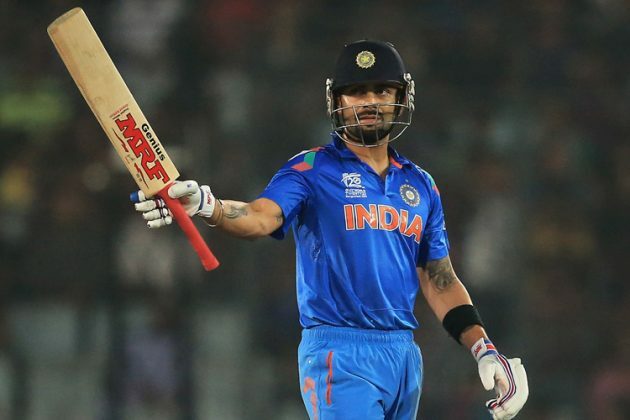 MRF was keen on securing Kohli for a long term,” said Sajdeh. “Today, brands are seeing value in securing long-term deals. We also want to show loyalty and commitment to them and Kohli has got a great rapport with MRF and the money is phenomenal.” MRF has been the bat sponsor for many cricketing greats, including batting legends Sachin Tendulkar, Brian Lara and Steve Waugh. Kohli is very choosy about the brands he endorses. A few days back he chose not to renew his contract with PepsiCo saying that he will only endorse products that he consumes or can relate to. Kohli is presently playing for team India in the Champions Trophy where he has notched scores of 76 not out and 81 not out.